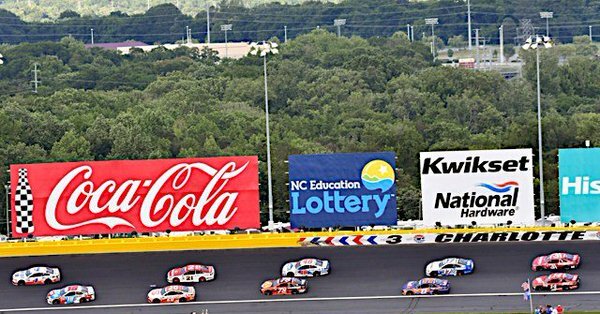 Coca-Cola, International Speedway Corporation (ISC) and NASCAR today announced an extension to each of its long-standing partnerships through 2023. Coca-Cola, an iconic global brand, will continue its deep-rooted history in the sport by engaging racing fans across NASCAR’s three national series and twelve ISC-operated race tracks. The first-of-its kind integrated agreement is designed to deliver value to Coca-Cola across both the sanctioning body and ISC properties. 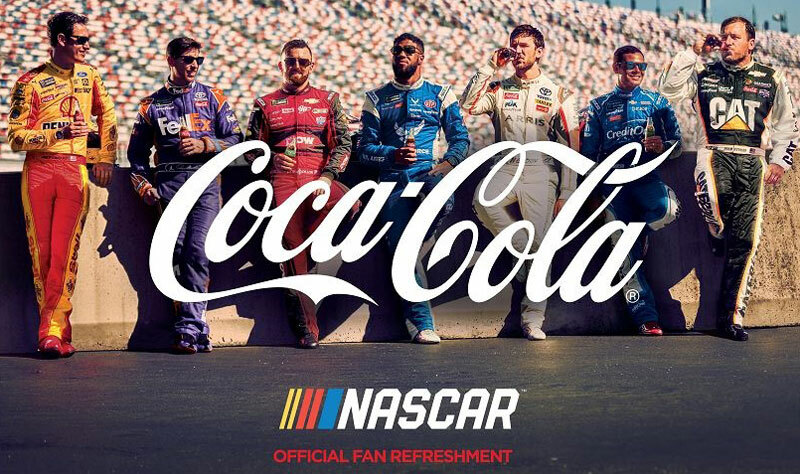 Building on a 50-year relationship in the sport, Coca-Cola utilizes an immersive marketing approach to engage fans, customers and employees across virtually every facet of the NASCAR ecosystem. The strategy has resulted in Coca-Cola being one of the most recognized sponsors in the sport (according to the 2017 NASCAR sponsor loyalty survey conducted for SportsBusiness Journal/Daily by Turnkey Sports & Entertainment). "We’re elated to announce an extension to this winning formula," said Stuart Kronauge, SVP of Marketing & Business Unit President of USA Operations, The Coca-Cola Company. "The association with NASCAR, iconic tracks across the country, the Coca-Cola 600 and the Coca-Cola 400, and the drivers of the Coca-Cola Racing Family creates an ideal relationship between the brands, the sport and fans. 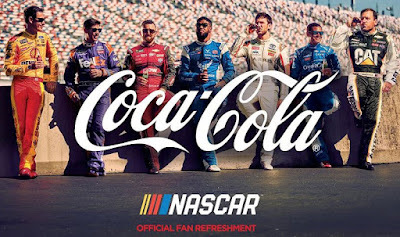 It allows for a fully integrated experience that connects Coca-Cola with NASCAR fans at every level – locally, nationally, at the track, in store, at home and elsewhere." Cheers to @CocaColaCo on renewed partnerships with NASCAR and ISC Track Partners as our Official Soft Drink! While Coca-Cola has been involved with stock car racing for 50 years, the brand became an Official Partner of NASCAR in 1998. The extended agreement furthers Coca-Cola’s position as the "Official Soft Drink of NASCAR." The Coca-Cola Racing Family, which has been around for nearly 20 years, makes appearances and is featured in advertising, promotions and packaging. "Our continued partnership with Coca-Cola is a product of a long history of successful collaboration," said Steve Phelps, EVP and chief global sales and marketing officer, NASCAR. "Partnering with a global company like Coca-Cola puts NASCAR in front of a massive scope of consumers while providing our partners direct engagement with the most brand faithful fan base in sports." The extended relationship with ISC will continue Coca-Cola’s position as the leading soft drink pour across NASCAR-sanctioned tracks. Through partnerships with ISC and Speedway Motorsports, Inc., Coca-Cola will be refreshing fans at 21 race tracks in 2018. "This renewed relationship highlights how committed Coca-Cola is to engage the most brand loyal fans in sports. Coca-Cola is deeply integrated across our sport, including track pouring rights, race entitlements and relationships with drivers – all adding up to a valued partnership," said Daryl Wolfe, chief sales and partnership officer, NASCAR and ISC. "The company has been a longtime supporter of NASCAR, and we are thrilled to embark on the next expanded phase of our partnership." A loyal supporter of the U.S. Armed Forces, Coca-Cola honors and recognizes service members at race tracks annually, and in 2017, expanded its support as the presenting sponsor of NASCAR Salutes Refreshed by Coca-Cola. The six-week platform encapsulates the NASCAR industry’s collective expression of respect and gratitude of past and present members of the U.S. Armed Forces. Coca-Cola also partners with NASCAR on Troops to the Track, hosting service members from all military branches at race tracks during the season. In 2013, Coca-Cola became the first three-time recipient of the prestigious NASCAR Marketing Achievement Award, emblematic of the brand who best utilizes its sponsorship to engage NASCAR fans.